If there’s one thing missing from today’s high-tech landscape of centrifuge-killing viruses, hacking, long-game defense projects designed surreptitiously in conjunction with Silicon Valley, it’s the warm glow of a NORAD CRT. Fear not, for Terminal Conflict is here to return you to the good old days of mutually-assured destruction. 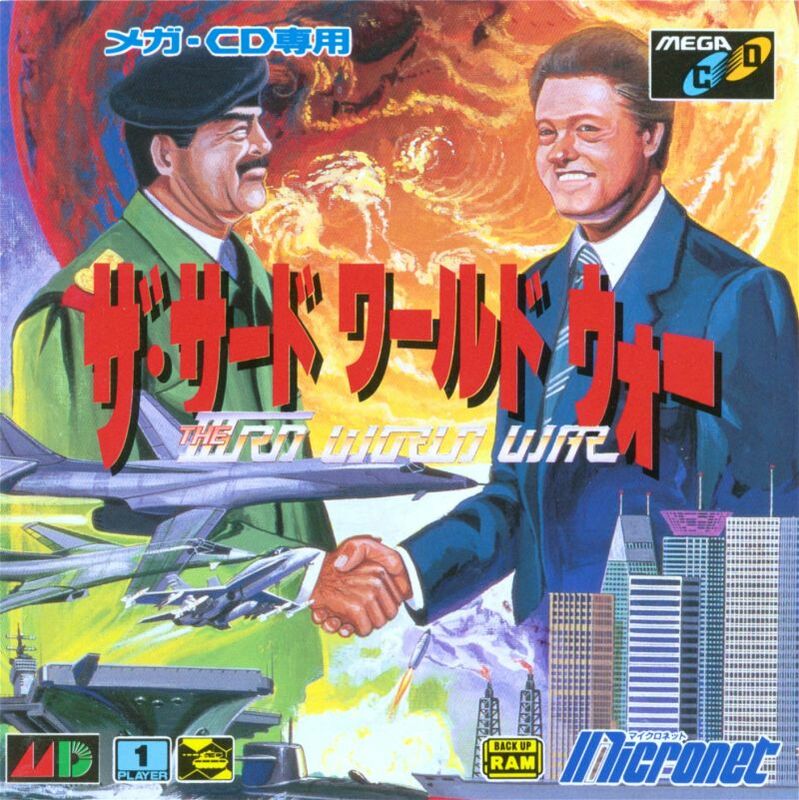 There was this old Mega CD game I enjoyed, The Third World War. It was undeniably horrendous, but its technologically-constrained depiction of the world had an air of utilitarian je ne sais quoi. It felt like some sort of dry officer training tool, however unintentional. Also, the best part was finding out the Japanese release had the most incredible box art. Clinton’s supercilious congeniality met with Saddam’s inexplicable stature, shoulders that don’t know when to quit and a body that that screams Baghdad’s Uncle Buck. End digression. We’ve received games that deliver on the promise far better in the intervening years, the Superpower games, things like DEFCON: Everybody Dies and the Supreme Ruler titles. Each certainly placing emphasis in different areas, but going for that Wargames-esque bunker chic that Terminal Conflict is tilting at. Command history in this most definitive Cold War strategy game. Gain access to your retro terminal and assert dominance through strategic arms races and disarmaments. Balance the world on the brink of mutual assured destruction to ensure total victory! • MIRVIN, your retro computer, purpose built, AI guide, brilliantly voice acted by James Spence. • All aspect strategic warfare – economic, intelligence, diplomacy and military combat. • Recruit 30+ unique historical leaders like Mao Zedong, Margaret Thatcher, or Ernesto ”Che” Guevara brandishing their own special abilities. • The Space Race is on! Will you claim technological superiority? Now, between you and me, I like the concept of Twilight Struggle and recognise its brilliance in somehow painting an incredible pastiche of the Cold War era via a palette of mere cards, but don’t enjoy playing it. My brachycephalic inadequacies limit me from truly getting a handle on Greatest Boardgame Of All Time. More is the pity. Terminal Conflict’s comparative lack of abstraction puts it well ahead of the latter, and looks to be just as adept in evoking this rich, fraught era. I’m ready to pack a Billiard Bent and play Forbin to MIRVIN’s Colossus, peering at the world through cathode-ray and steering a course along the knife edge of realpolitik. Here’s where you come in, because there’s one key thing missing at the moment to make Terminal Conflict truly the game for the ages. After approaching the devs on the steam forum, I’m told Play By Email is something that could be added if there’s a need. And by Kruschev’s shovel, there’s no greater need. It feels only too perfect a way to play, ruminating in the late hours whether to commit forces here or there, decisions cemented with the final push of a button. History thereafter made. Let them know! Terminal Conflict hits Early Access in two weeks, which is twenty-four hours shorter than thirteen days. It all just makes sense. The official site can be found here, with the developer’s Twitter, Facebook and Reddit linked accordingly. My eye for this or DEFCON on iOS! Stop stop stopstopstop I don’t even want to dream about DEFCON on iOS. DEFCON was the perfect iPad game long before iPads. ‘Twould be great!